Born in 2013, A World to Travel has steadily increased its audience since then. These days, it gets around 35K page views per month and has a combined audience of 55K+ Social Media followers (19K+ of them on Instagram alone); focusing always on delivering unique travel experiences around the world. HOTEL and APARTMENT CHAINS like NH hotels, Vivanta by Taj, Destsetters, Cinnamon Hotels, VI Hotels, Hilton, Radisson Blu, Zuri Resorts, Mercure Hotels and Sheraton. INSURANCE COMPANIES like OrbitProtect already trust us. 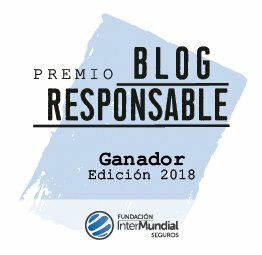 APRIL 2018: ‘Responsible Travel Blog of the Year’ winner, The Biosphere Institute. JULY 2017: Faro de Vigo on the Vigo Experience campaign. 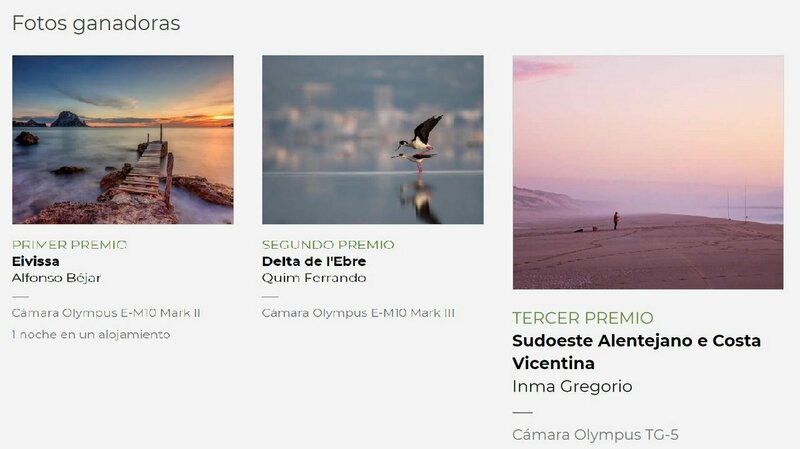 DECEMBER 2016: Jose wins a third price on the photography contest Starlight Trevinca. DECEMBER 2016: Faro de Vigo on our Lalin adventures. NOVEMBER 2016 Faro de Vigo on Lalin’s press trip. SEPTEMBER 2016: Reppublica Italy’s newspaper on the Italian Wonder Ways campaign. JULY 2016: SocialDraft’s Top 25 Travel Instagram Accounts. JULY 2016: Newspaper La Region and El Correo Gallego on our Turgalicia’s A Veiga Trevinca trip. MAY 2016: Travel Babbo’s Instagram Travel Accounts to Follow. MARCH 2016: South Africa tourism recalls our SA adventures here and in this other article. 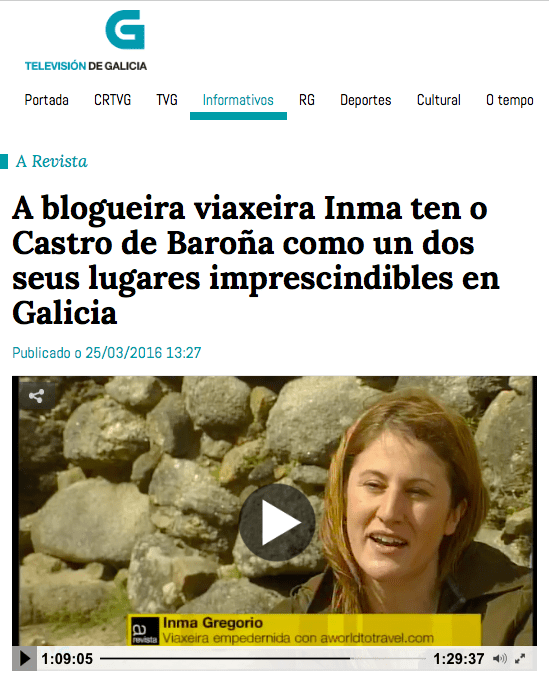 MARCH 2016: TVGA (Galicia regional TV station) broadcasts a 5′ video about Inma’s favorite place in Galicia. FEBRUARY 2016: The Most Inspiring Shots of the Week on Matador Network. Sharing a sunset with a friend? Sounds like #travelstoke to us! Do you travel with your pets? Photo by @aworldtotravel, in Noia, Galicia, Spain. Thanks for tagging #travelstoke! JANUARY 2016: El HuffPost publica ‘Las 10 razones para visitar la Palma’, on El Time that recalls our recent publication on The Huffington Post. OCTOBER 2015: Interviewed by Indonesia’s Metro TV. JUNE 2015: Mention on Faro de Vigo, one of Galicia’s main papers. MAY 2015: Featured as one of the Top 83 European bloggers you should follow in 2015 by Heart of a Vagabond. MARCH 2015: Selected as one of the Best Travel Bloggers to Follow on Instagram by Bridges and Balloons. Featured by Matador Network on their Instagram account getting more than 2000 shares. JANUARY 2015: Featured on Finnish newspaper Helsingin Sanomat after taking part on the Nordic Bloggers Experience 2015. DECEMBER 2014: Selected as an #EnjoyBucharest Travel Blogger to visit the Romanian capital city next April. 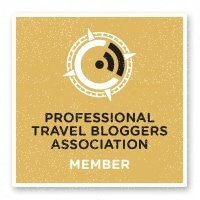 SEPTEMBER 2014: Inma is one of the 50 selected international travel bloggers to attend’s Asia’s first Travel Bloggers’ conference in Sri Lanka, TBCAsia. AUGUST 2014: This piece got Inma a spot on the Aptece’s Portugal Food Travel Stories 15 day tour of Portugal. Post by Fine Art Photography. MARCH 2014: Kerala Blog Express news on The Hindu, Malayalam Manorama (pictured below), Kerala Tourism site, New Indian Express, Travel Techie, Travel and Tour World and many more. 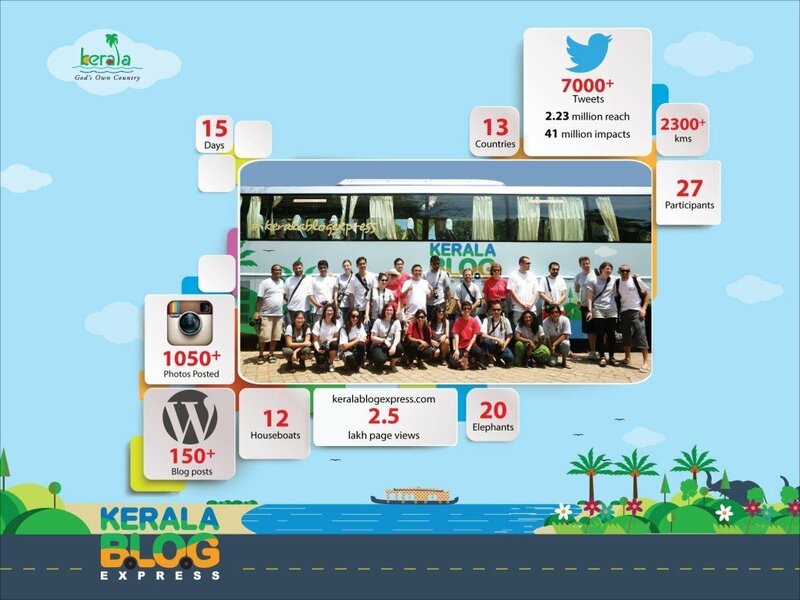 FEBRUARY 2014: 1 of the 25 international bloggers selected to take part in the #KeralaBlogExpress in India and 1st winner of #RVcontigo Fitur contest. DECEMBER 2013: Featured on National Geographic Travel Radar. Selected travel blogger to attend Matka and #nbefinland in Finland, #blogmanay in Scotland, #Umea2014 in Sweden and #Riga2014 in Latvia. NOVEMBER 2013: 1st and 2nd place “A Estrada no teu obxectivo” photography contest + Minube contest winner. JUNE 2013: Winner of Iberia Airlines’ #iberiamayors Lisboa contest. 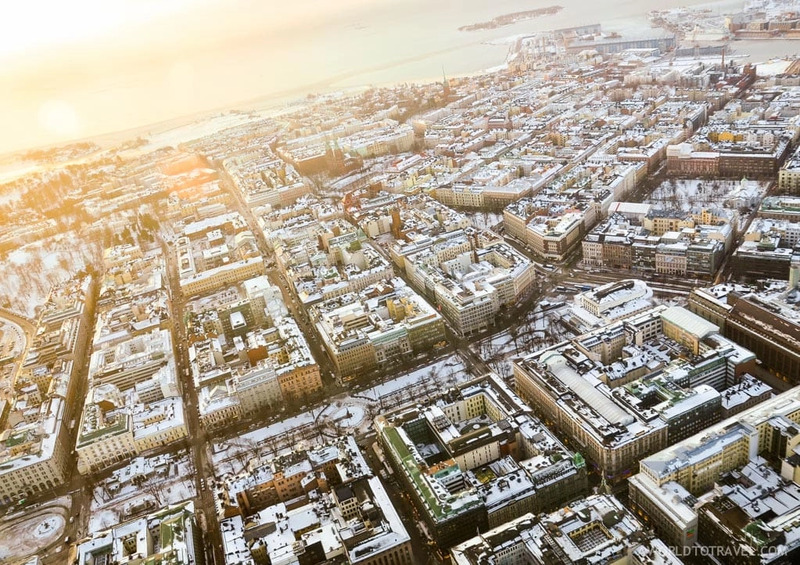 We hosted a video-guide about the iconic city that was published on the company’s YouTube channel and gathered more than 50K views in its first week. 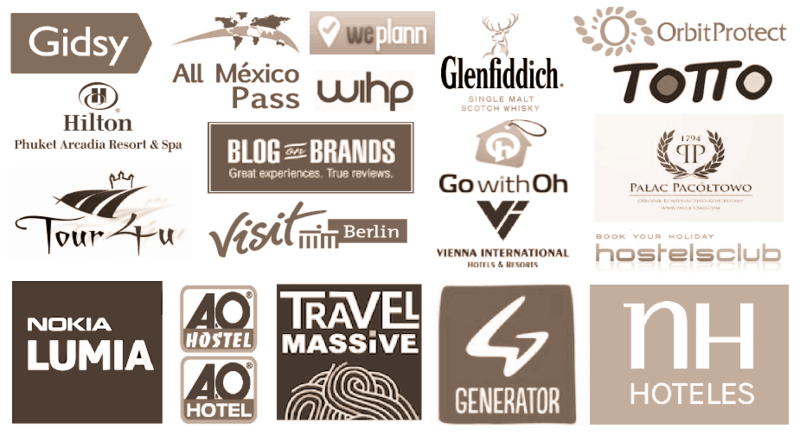 We’ve recently been awarded the following badges by BlogOnBrands after having worked with them in a few campaigns like #Alagontrip. 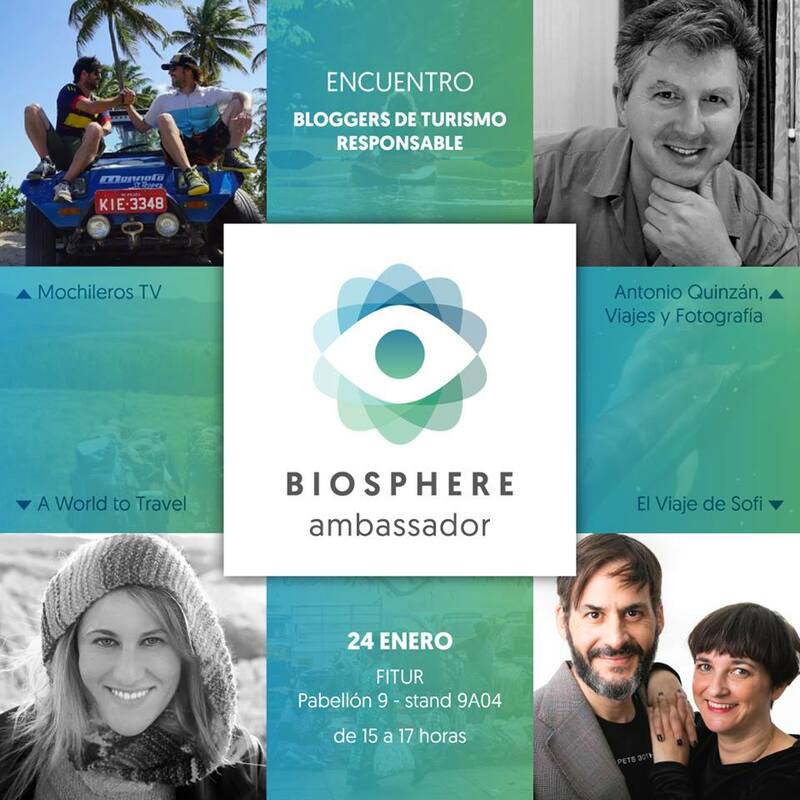 Responsible tourism panel discussion – Biosphere RTI Fitur, Women & Travel talk – MDE Fitur, and more to come. Sao Miguel Azores, Miranda do Douro, Ponte de Lima, Celanova, Montalegre – Peneda Geres, Viajeros Responsables, Flexpat Marrakech, Caminho Portugues da Costa, Mondim de Basto, MyBookpack Serra da Estrela – Geres, Ponte da Barca, Experience Romania2, Travel Talks Turismo Responsable, Ferrol da Ilustracion, Tren Pazos de Galicia, Festival O Son do Camiño, Gala Showcooking Tapas Galicia, Atlantic Fest, Paredes de Coura festival, Timon Lepidus Trip, North of India, Madhya Pradesh, Thessaloniki and Halkidiki in Greece, Come to Hamburg, WebSummit Lisbon, and talk on responsible travel photography for KLM. As well as minute trip Gandia, Amsterdam neighborhoods, Alikats Ski Morzine, and Llanada Alavesa. #CangasConGaliciaTB, #LoMejorDeEspaña, #VodafoneParedesDeCoura2015, #turismosostenible, #onlywithveo, #VanguardPro, #jordwatch and #ahoracaminaresmejor, #INAtopbucketlist by #WonderfulIndonesia, #naturallyLangkawi, #MalaysiaTrulyAsia and #aulacocinaFervenza. #nbefinland, #Riga2014, #Umea2014, #KeralaBlogExpress, #TBMGijón, #CastiglioniLive, #MiMa4You, #PortugalFoodStories, #TBDI2014, #IlikeMarche, #Fiat500, #MaltaIsMore, #TbexAthens, #visitMeteora, #TBCAsia and #regalaArousaNorte. #AllMexicoTrip , #Alagontrip, #GCBlogtrip, #viParisTrip, #AtriumBT, #AbruzzoTBDI , #blogville , #Urbino2019tour and #blogmanay. 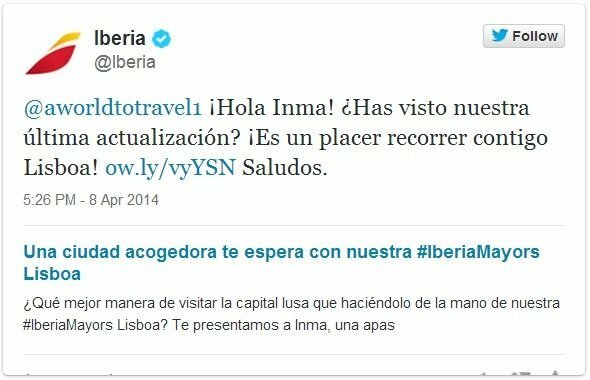 April 2013, IberiaMayors Lisboa on Iberia Airlines official website. Los 10 mejores rincones del País Vasco, on Skyscanner blog. 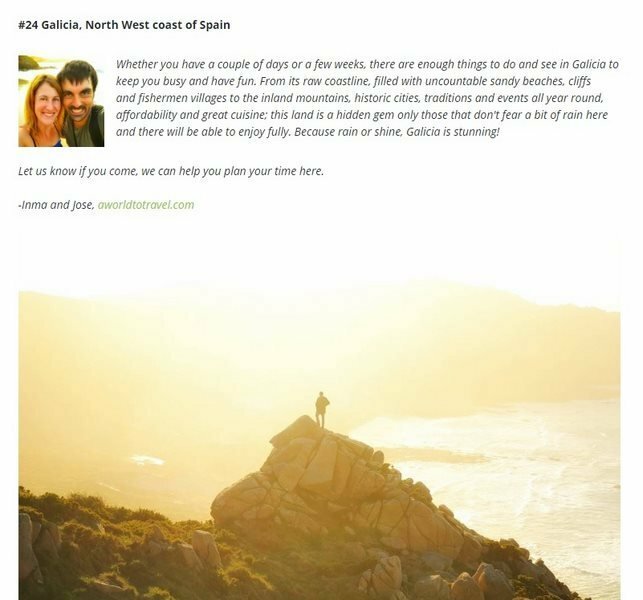 Las 10 mejores playas de Galicia, on Skyscanner blog. Kerala. A Blog’s Eye View ebook by Kerala Tourism. P.33-36. Traveling By Yourself As a Solo Female in Backpacking 4 Beginners. Places You’d Rather Be Right Now in Savored Journeys. The World’s Most Inspiring Travel Photos in Columbus Direct. Ultimate Camping Tips for Beginners and First-timers in Bunch of Backpackers. Stairs With A View in Buddy The Traveling Monkey. #17 of the World’s Top Travel Photography Blogs as listed here. Best Ever Holiday Locations, in The Freedom Travellers. The World’s Most Underrated Destinations in Aussie on the Road. Traveller’s Views Of Cultural Taboos, in OMC. Best Scuba Diving Spots Around the World, in Double-Barrelled Travel. Asia From Above, in The Trusted Traveller. Tips On Beating The Travel Blues in Sally Around the World. 100 Places to See in Europe Before You Die Part 8 and Part 9, in True Nomads. Best beaches in the world in Eat Sleep Cruise. Lessons learned. How to Pack for a Special Event in Trucos Viajeros. 12 de los Lugares más Bellos y Menos Conocidos de Galicia, in Viajando Imagenes y Sensaciones (Spanish). Postcards from South Africa, in Young Adventuress about me jumping off Durban stadium. 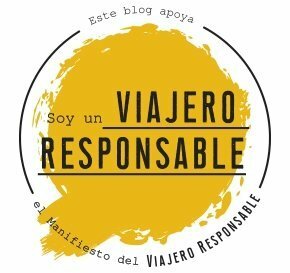 ¿Qué es el turismo musical?, in Lo Vemos 3.0 (Spanish). Other publications like The Huffington Post, Matador Network, Traveldudes, Minube, TripAdvisor, Triptease, Tripteria, World Nomads, Maptia, Storify, Behance and many more. May I use your pictures, videos or words on my site? We used to say yes as long as people properly credited and linked back to us. However, we were taken advantage of so many times that both for non-commercial or commercial use, you need to please contact us first for details. Do you accept guest posts or sponsored content? Will you publish my new amazing infographic/press release / promotional video for free? We feature genuine and original contributions from fellow travel bloggers and writers that may be of interest to our audience. Please contact us if you have any inquiries regarding advertisement options, sponsorships, collaborations or partnerships. Are you able to review my gadget, gear, app, software, festival, hotel, airline, tour company, startup, restaurant or ski resort? Yes and we have already done it a fair number of times. From cell phones and photography gadgets to hotels, watches, outdoor gear, airlines, tour companies, mobile Apps, amusement parks… we have you covered! Just get in touch. Do you make money with this blog? 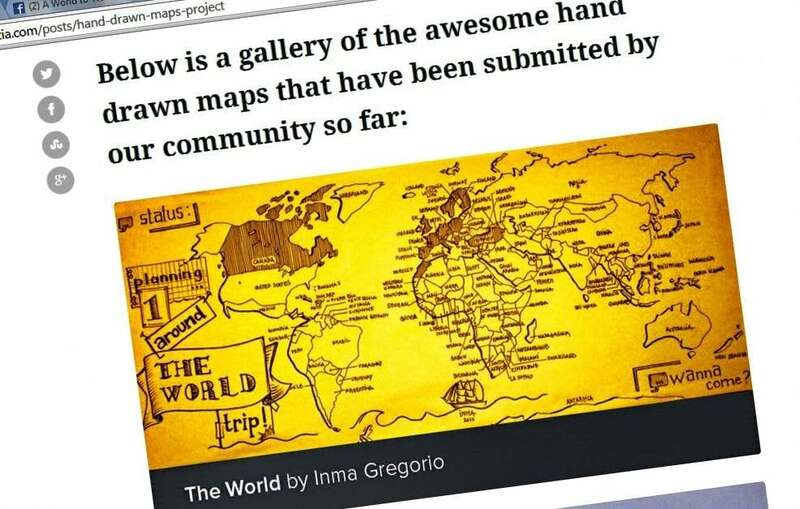 How can I set a travel blog like you and travel the world for free? We do make some money but it’s not going to make us rich. At least not anytime soon. If you want to start your own travel blog, think twice why and keep in mind it’s a lot of work! Still eager to become a cool cat? Soon we’ll be writing about how we made it. In the meanwhile, feel free to ask whatever comes to your mind. We might be able to help you! Are you available for interviews? Would you write on our blog / corporate site? We usually are, although that’s decided on a case-by-case basis. It usually depends on the workload we have at the moment. Definitely! Write us an email and we’ll take it from there. Are you available to travel? Would you like to join the coolest blog tour/press trip on earth or speak at our conference? It depends on our availability. Lately, we have started accepting contributors so most likely, yes! Please send us an email and let’s talk travel. Now let us ask you: How can we help? Great site. Thank you for posting this. I will definitely come to this site to find out more and recommend my acquaintenances about your website. I am SUNIL from Trivandrum, Kerala, India. 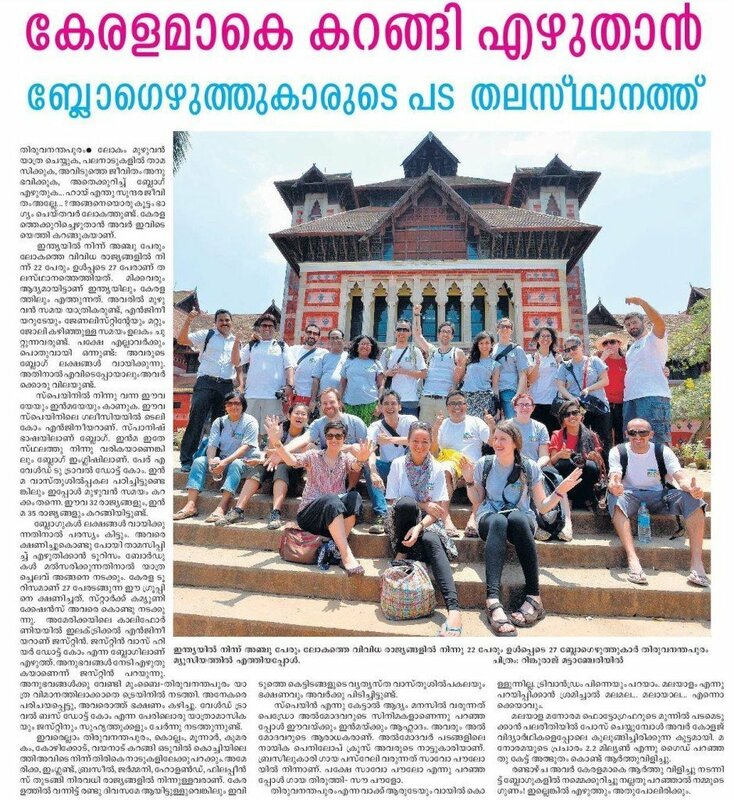 I read in the local news papers about your recent visit to Kerala in connection with Blog writers’ meet. Great. I too luv to travel and meet people and see places. Keep in touch.